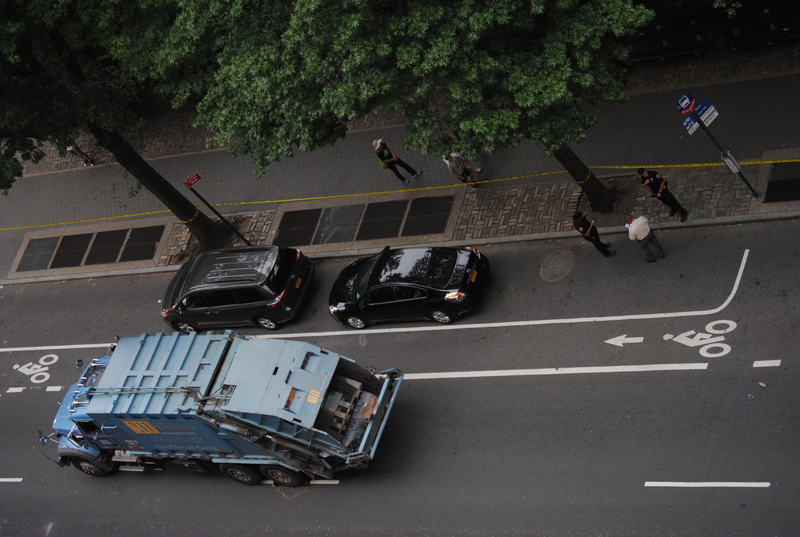 Last week as part of of a new Vision Zero initiative the police announced a crack down on private garbage trucks. Not only did they issue traffic tickets to drivers who were not respecting the rules but they also inspected the vehicles, issued vehicle violations and if necessary took them off the road. In the first three nights of the crackdown, the police issued more than 620 summons that included 163 moving violations and 458 criminal summonses. 5 garbage trucks deemed unsafe had to be towed. Officers told CBS News that “when it comes to finding carters violating the city’s traffic laws, it’s like shooting fish in a barrel” At the end of the crackdown 1070 summons had been issued. Out of 142 garbage trucks inspected 132 had to be taken out of services for serious malfunctions such as faulty brakes, defective steering column, low tire pressure and more. The city is also working on a plan to reform the private carting industry to make the streets safer.